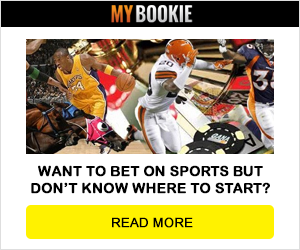 When betting online it is very important to find a sportsbook that has a solid reputation as well as a great customer service team that is ready to take care of their player with top-notch service. Sportsbetting.ag is a sportsbook that provides all of that and more! This is the #1 Sportsbook at Bookie Blitz and the BEST PLACE to bet on the NBA playoffs! The Sportsbetting.ag review is easy to write because this highly rated sportsbook takes care of their players and they are backed by one of the best reputations in the sports betting industry. Sportsbetting.ag opened their doors in 1999 and has since grown into one of the biggest gaming operators in the world, with over one million player accounts. This is a strong indication of how strong their reputation is. With a big and constantly growing player base, it shows that their players keep coming back because they love what sportsbetting.ag has to offer. This sportsbook is not a one trick pony as they offer many different ways to enjoy your gambling experience. At the core, Sportsbetting.ag is a sportsbook, but they want to make sure their players get everything that they want so they also offer a full range of online gambling products, including Poker, horse racing and an online casino. The player has the benefit of being able to access all areas from the same user account. So it is not only fun but easy to bet and play at sportsbetting.ag. The company is licensed in Panama and Antigua and currently has no country restrictions, meaning that it is open to everyone, even players from the U.S. It also shows that when you bet at sportsbetting.ag you can rest assured that you are playing with a safe sportsbook. The wagering options at Sportsbetting.ag are endless as they offer betting on everything from soccer, to March Madness and more! The sportsbook offers betting lines on just about any sport, including baseball, football, basketball, hockey, soccer, rugby, golf, boxing and MMA. Players can also take advantage of MLB dime lines that go up to -199 and of the -105 lines that are available on Fridays during football season. You can also mix things up with prop bets, future bets and by putting some action on Japanese League Baseball. They also have great bonuses and promotions. For example the sportsbook currently has a cool reimbursement deal where every ‘over’ bet on soccer games gets reimbursed if the game is tied 0-0 at the end of regulation. Sign up now and get a $25 Free Bet, a mobile Betting $50 Free Play and reduced Juice for NFL Betting and this is just a few of the promotions that they offer on a regular basis. Sportsbetting.ag has a solid reputation, great customer service and a slew of great betting bonuses to include free plays and special promotions on a regular basis. Sign up now and see why Sportsbetting.ag is one of the best!